Construction l Kalos Services, Inc.
At Kalos Services we are qualified to do all types of construction projects. 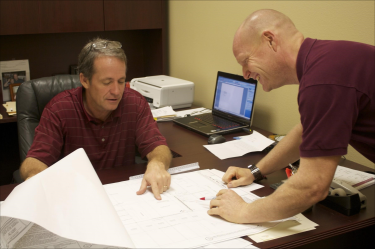 From large Commercial buildings to small residential remodels we have the ability to deliver a quality outcome on time and on budget. The secret to this is our employees. We only employ the highest quality personnel who are all experts at their respective trades. Our employees are more than simply “jobsite managers” like many other construction companies, our employees have years of experience actually doing the work themselves. The result is a project that runs smoothly without surprises. We are licensed and insured building contractors, electrical contractors & HVAC contractors, this gives us the advantage when it comes to quality control as well as pricing. Feel free to contact us for a free consultation or estimate. We will be more than happy to listen to your needs and then work hard to exceed your expectations.